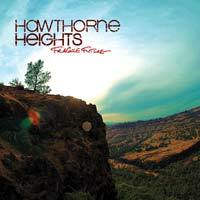 Hawthorne Heights proudly presents their new record, Fragile Future, the most anticipated return of 2008. Building on the experiences of the past few years, they have created a record that has reinforced their desire to play music, perform live for fans, and grow as individuals and artists. It is an energy that can only be described as cathartic and inspiring.